Look who is actually keeping her word on wedding Wednesday, yep that's right! Haha. 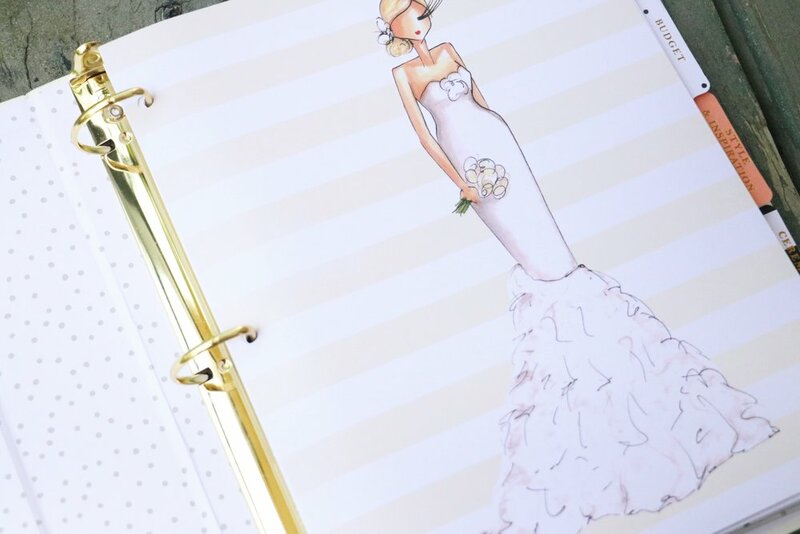 This week's post is all about the wedding planner! Not an actual human wedding planner (although I am in search of one), but the perfect wedding planning book! 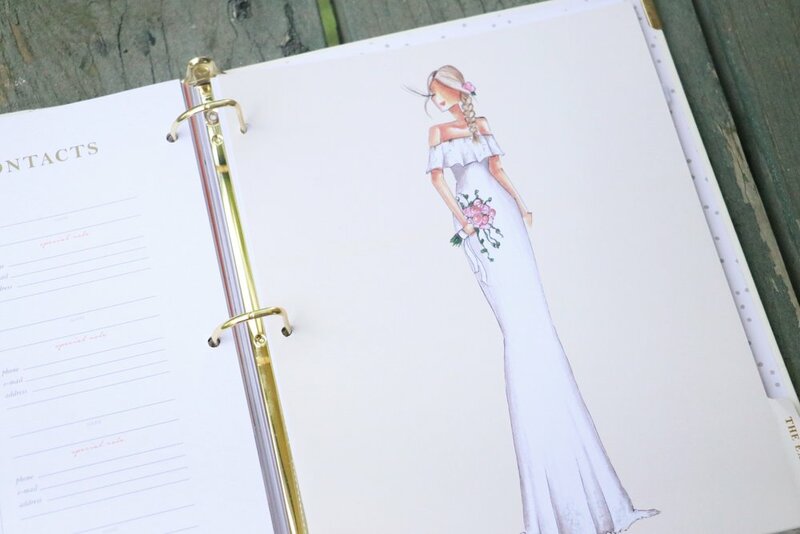 If you are newly engaged, you may be in search of a good planner to keep organized through this stressful, yet amazing time! My amazing mom surprised me with this wedding planner and I am drooling all over it. It's honestly the cutest and has SO much inside! When you open this planner, this is the first page you will open up to. The little bridal sketches make my heart so giddy! As you can see along the right side there are tabs to ensure everything is neat and organized - a huge must for wedding planning. The next page is this cute little intro! The Future Mrs. (insert name) and then a place for your big day! Speaking of the big day, Clay and I decided on our "unofficial" wedding day date. Of course we will have to wait until we see venues to be sure that date is available. I will keep y'all updated! Now that we have established organization as the biggest must-have, next up is the budget. Budgeting is a huge beginning step in the wedding planning process. Whether you are paying for your wedding yourself, or with your parents' help, sit down and create a budget! This section here has everything you need to get a good idea of your budget! This next little section here is your style and inspiration! I get most of my inspiration from Pinterest (who doesn't, right?) I have had my wedding color scheme chosen for quite a while now, so I know exactly what I want style wise! This right here is your ceremony & reception details! Last is your honeymoon details! Jot down your ideas to ensure your honeymoon is one you won't forget! Quickly going to talk about this magazine right here: Weddings in Houston. If you are in the Houston area, you need this magazine! There are so many great recommendations from wedding planners + style and so so much more. You definitely need this! Nothing in this post is sponsored, or affiliated. This wedding planner was purchased from Walmart for $50 and the magazine was found at Kroger! Thanks so much for reading, see you in my next post!